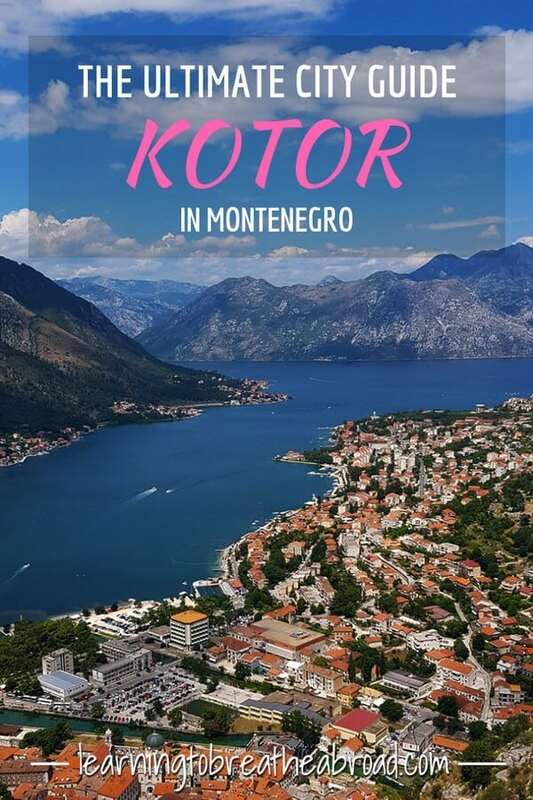 A city guide to Kotor and all the things to do in Kotor and it’s surrounds. In 2016 Lonely Planet named Kotor the number one city to visit in the world and with good reason. It is simply stunning! Tucked into the South-East corner of the Bay of Kotor, the city of Kotor is surrounded by limestone cliffs and bursting with magnificentVenetian Fortifications. Listed as a UNESCO World Heritage site, the Old Town is nestled within immense city walls and surrounded by a moat of emerald green water. Taking only 10 minutes to get from one side of town to the other, Kotor is the perfect place for aimless wanderings without the fear of getting lost. Somehow we kept finding ourselves back at places we had just passed, so trust me when I say you don’t need a map! 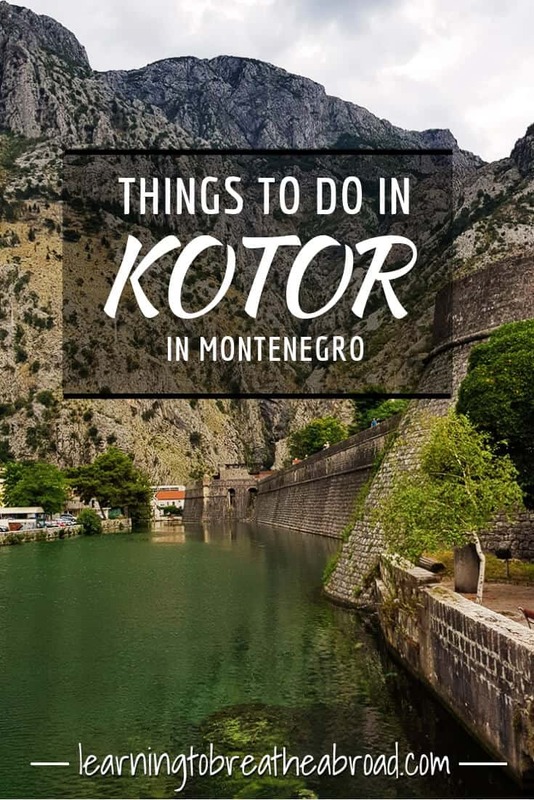 Keep reading to find out about the things to do in Kotor, including how to get there and where to stay in Kotor. The Old Town of Kotor may be small, but there are still lots of things to do to keep you entertained for a few days. For those of you that are active nature lovers make sure you plan to stay long enough to enjoy all the fabulous hikes in the surrounding hills. Hire a car and drive around the Bay of Kotor to visit the numerous little seaside towns. Rent a boat and go sailing in the Bay. You can hire bicycles but the roads are narrow with a fair bit of traffic so you’d have to be very careful on the roads. Some say the Bay of Kotor is the most Southern Fjord in Europe, but it is actually a submerged river canyon. Arriving in Kotor was of great excitement to us. When planning our trip I had seen that Kotor was also known as the City of Cats and anyone who knows us knows how much we LOVE cats! I had told Tai this bit of info and for the first 3 months of our trip, he’d literally asked me every day if today was the day we were going to the City of Cats. In one way, I couldn’t wait to see the town and the cats and in another way, I couldn’t wait for Tai to finally stop asking me when we were going to get there! Lol! Thanks to our trusty Park4Night app, we easily located a large free parking lot only 10minutes walk from the old town (42.421101,18.767200). There were a few other campers there so we parked up and set off to see what Kotor had to offer. Kotor has one of the best preserved medieval old towns in the Adriatic. Built between the 12th and 14th Century, it is easy to see why it has been given UNESCO world heritage site status. We spent hours wandering the medieval maze of alleyways and cobbled courtyards, stopping to admire the museums, churches and Venetian Palaces. Admittedly we did spend a large part of that time stroking cats and cuddling kittens! How can you not? The cobbled squares were alive with people, restaurants, cafes and bars. Everyone seemed happy and there was a lovely festive mood. We came across a busker playing the saxophone and even got to watch the local children putting on a dance recital in the main square. The shops were either high-end couture or selling kitsch souvenirs and tacky t-shirts, so we gave those a miss. Do not miss the gelato though! Or sitting in one of the numerous restaurants soaking up the atmosphere of the old town as you watch the world go by. Despite becoming a major tourist attraction, the old town hasn’t lost its charm and is still a real living city, as is evidenced by the lines of laundry seen fluttering from the upper story balconies. Local elderly men can be found at outside cafes throughout the day, nursing cups of coffees paired with companionable banter. We even got to see a real-life rescue by the fire brigade. A kitten was stuck on a rampart on the city walls and a fireman had to climb up a ladder to help it get down. The poor frightened kitten put up a good fight hissing and scratching and once safely planted on the ground, it darted away in the blink of an eye. Or perhaps it was the uproarious applause from the onlookers that scared it even more? The walls around Kotor are lit up at night and walking home it looked like an orange halo encircling the old town. If you happen to be hiking on the Vrmac Ridge in the evening you can look across the bay to see the full halo effect of the walls around the city. The best way to see the Old Town is by joining the free daily walking tour offered by the Montenegro Hostel. 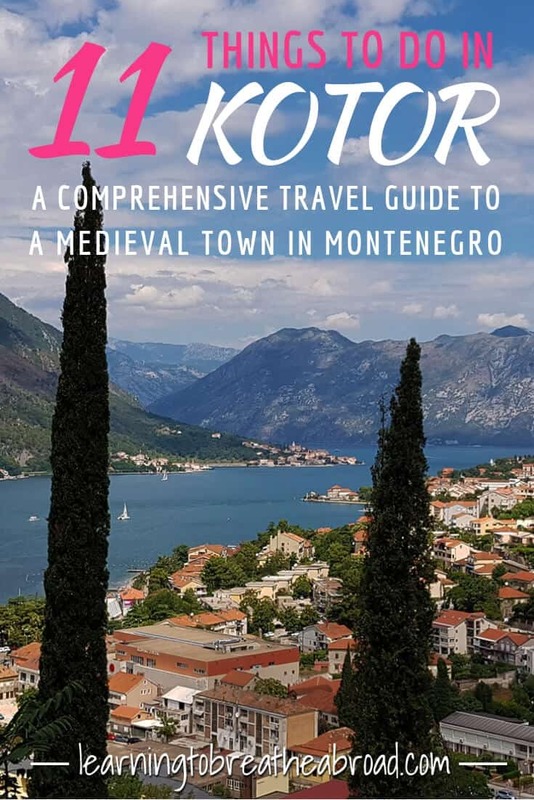 The guide is a local having been born and raised in Kotor and will entertain you with fascinating stories as you wander the streets and explore the interesting sights the city has to offer. The tour starts at 11.30am and will take one hour. The times can periodically change so please check the schedule when you reserve your spot and make sure you book at least 2 hours before the tour starts. The tour is free but remember to tip your guide. The three-story Clock Tower is the first thing you will see when passing through the main Sea Gate into the Old Town of Kotor. Found at the southern end of the main square, the clock tower is surrounded by lots of restaurants and cafes. If you need to meet up with friends, the clock tower is the ideal meeting place, as no one can say they didn’t see it! Sveti Nikola (Saint Nicholas) is Kotor’s Serbian Orthodox church and can be found on St. Luke’s Square. It is easily recognised by its twin domes and the Serbian flag draping down its centre. The ornate church was built in 1909 on the foundations of an older building that was destroyed by fire in the nineteenth century. Entrance is free. Saint Luke’s Church has an interesting history. It was built as a Catholic church, but in 1657 it became an Orthodox church. It has retained both the Catholic and the Orthodox altars and has services for both faiths, demonstrating the peaceful coexistence between the two religions in Kotor. The church still has fragments of the 12th-century frescos and excellent iconostases from the 17th Century. As avid cat lovers, this quirky little museum dedicated to all things feline is an absolute must. It’s really small but packed with cat magnets, funny cat photos, cat postcards, cat toys, cat lithographs, cat coins and more. There is even a cat museum with cat artifacts dating back to the First World War, ranging from postcards sent by soldiers to cat adorned war propaganda. The entrance fee is €1 – a portion of which goes to feeding stray cats in the Old Town. If you have a furry feline back home, you can sign them up as members of this exclusive club for a mere €2. They’ll even receive a certificate. The fortified walls of Kotor extend up from the Old Town, creating a 4.5km circle of protection around the city. The walls were originally built in the 9th Century and have continued to be added to over the centuries. The walk up to St. John’s fortress is the most popular activity in Kotor and is known as the “Huff and Puff Trail” for obvious reasons. The trail consists of 1350 stairs to the top with magnificent views over the old town of Kotor and Kotor Bay. The hike should take 1hour, depending on your fitness level and how often you stop to take photos. One of the most popular hiking tours is the so-called Ladder of Kotor or Ladder of Cattaro. 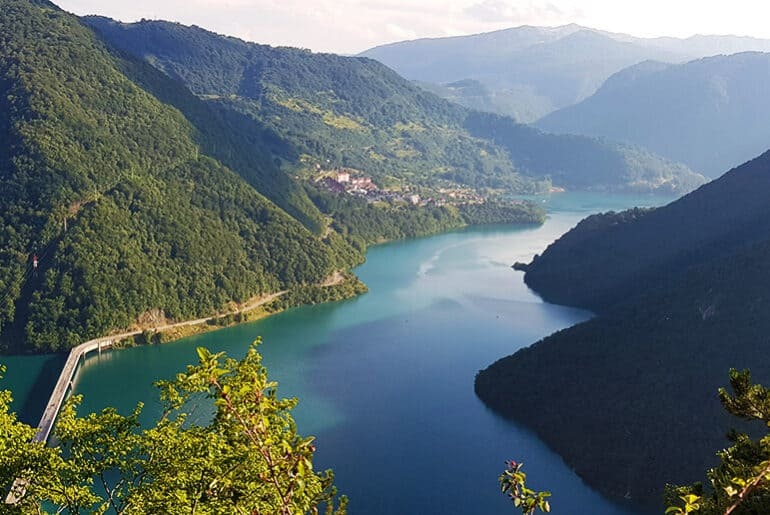 The traditional hike is a descent from the 940 meters high Krstac pass to Kotor, but it can also be used to ascend to or descend from the St Johns Fortress. If you are going up, it is a much longer hike than up the “Huff and Puff Trail”, but far less strenuous, as the road gently ascends over the course of many serpentine bends. There is also a little more shade, but do remember to take water with you. At the village of Spiljari, there is a little restaurant selling goats cheese, honey and rakija. From here follow to the path to the right to the dilapidated St. George’s church. From here the path winds up to the fortress walls, where you need to climb through a hole to reach the stairs. If you are coming the other way, you will find the hole in the wall, just below the Fortress. The views down the Ladder of Kotor are just breathtaking! If you want to escape the crowds, head 10km down the bay to the quaintest little town imaginable, Perast. This sleepy little seaside town will have you grabbing your camera every few seconds. Enjoy delicious lunch at any one of the numerous seaside restaurants or relax in the sun and have a swim from any of the concrete jetties off the promenade. If you’re looking for something festive, the Pirate Bar is a great spot with sun beds and some funky tunes. The town is pedestrianised for easier strolling and is full of Baroque churches and Venetian Palaces. It has got busier with the arrival of cruise ships and tour buses, but these tourists get dropped at one side of the town and only have 30minutes to walk through to the other side, which means quiet evenings should you wish to stay here. There are paid parking lots on either side of the town or you can park a few meters away on the side of the road for free. Our Lady of the Rocks is one of two gorgeous islands in the Bay of Kotor (Boka Kotorska) and is situated just in front of the town of Perast. The other is a natural island and the site of the Saint George Benedictine monastery. This island is off limits to tourists. 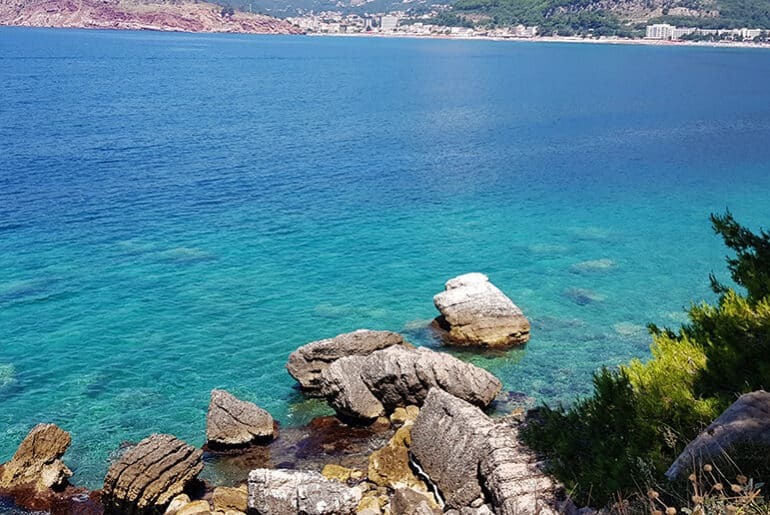 Our Lady of the Rocks is the only artificial island in the Adriatic Sea and the story goes that two sailors found a picture of the Virgin Mary on a rock in 1452. From then on, they would place a rock at the site after each successful sea voyage. The tradition is still continued today with the festival called Fasinada occurring on the on 22nd July every year. If you have your own wheels or can hire a car, a fabulous day out is to drive around the Bay of Kotor. There are some truly magical little villages dotted all the way around that are well worth a stop. Donji Stoliv, Prcanj, Ljuta, Perast, Risan, Morinj. From Kotor, you could set out towards Perast, following the coast around until you reach Kamenari. From here catch the 5-minute ferry across to Lepetane, turning left to continue towards Donji Stoliv and coming full circle back to Kotor. Kotor is located a short 2-hour drive from Dubrovnik, which makes it ideal for a day trip. It is a 30-minute drive from Budva. If you fly into the capital of Montenegro, Podgorica, you will still need to drive 1.5hrs to get to Kotor. The airport at Tivat is only 15 minutes away, but will probably cost a little more. The other option is to fly into Dubrovnik and then hire a car or catch a local bus to take you the 2 hours overland to Kotor. The Old Town is across the road from the port so about 100m from the entrance gates. If you’re looking for luxury, you’ll most certainly find it at the Historic Boutique Hotel Cattaro in Kotor, with the best location right in the Old Town. Checkout the latest prices. Step back in time in this period styled house of nobility at Palazzo Drusko Deluxe Rooms. Checkout the latest prices. The Montenegro Hostel B&B Kotor comes highly recommended in this price range. Checkout the latest prices. Kotor is becoming a popular stop on the cruiseliner itineraries and wandering the Old Town when one is in town can be a bit of a bunfight. There was a huge cruise liner in the harbour when we arrived, so the town was very busy with tourists, but to our glee, the ship left that evening and the town emptied out dramatically. 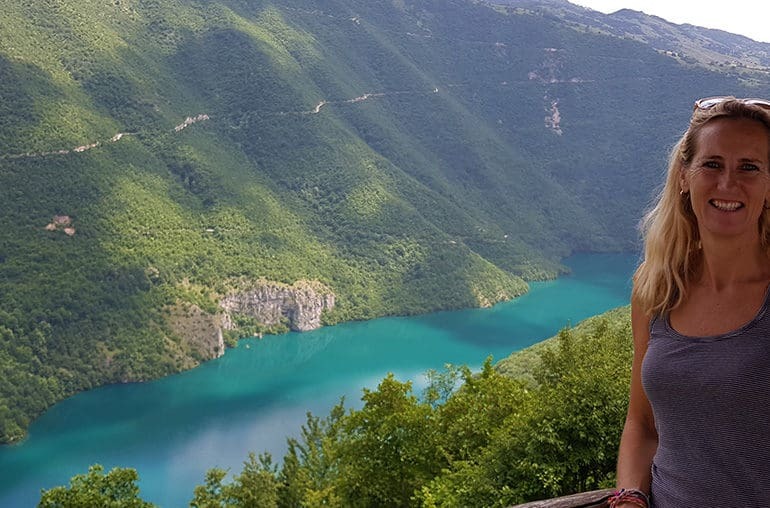 So time your visit for when they are not there, as you’ll have a far nicer experience when exploring the things to do in Kotor. Free parking only a 10-minute walk to Kotor Old town. It was a fairly large parking lot and not too busy over the weekend, but it was jam-packed when we woke up on Monday morning. There was a lot of rubbish about, but it didn’t bother us. No facilities. Free. There is a supermarket at the end of the road. Hi Anya. I would have loved to have met you for a coffee if I had known when I was there. It’s always wonderful to get a locals insight into a country. Wow, great post with beautiful photos! I particularly appreciate the tips provided. Provides good insider information for those of us who’ve never visited but are thinking about it. Thanks for the insight! Kotor is so incredibly beautiful. I just hope my photos did it some justice? Seeing it in person is even more spectacular so I hope you manage to get there someday.